What are the main types of vacuum pump? When should you use a rotary vane vacuum pump? When should you use a diaphragm vacuum pump? When should you use a liquid ring vacuum pump? When should you use a scroll vacuum pump? When should you use a turbomolecular vacuum pump? 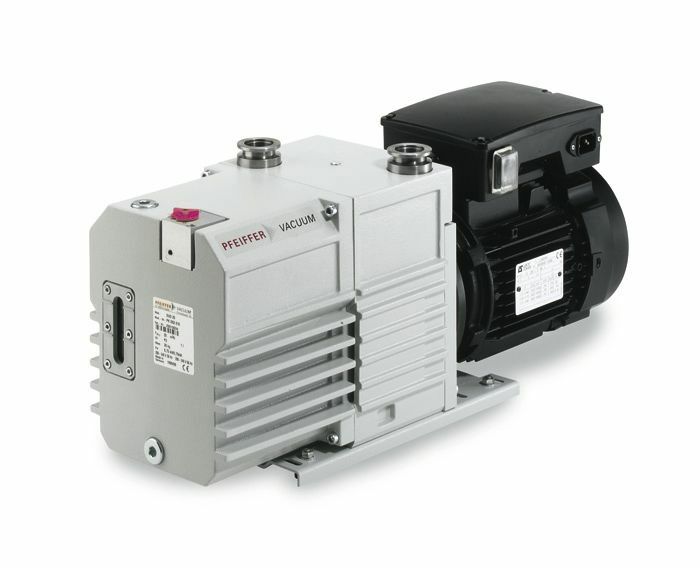 How to choose between a vacuum pump without oil and a lubricated vacuum pump? What are the main uses for vacuum pumps? A vacuum pump is a device that extracts air or gas from a tank to create a partial or complete vacuum in the system in question. The air is sucked in by a gradual decrease in pressure in the confined space. The aspirated gaseous molecules are then released into the ambient air or another tank. They are used in various industrial sectors such as laboratories, the medical industry, food packaging and the chemical industry. 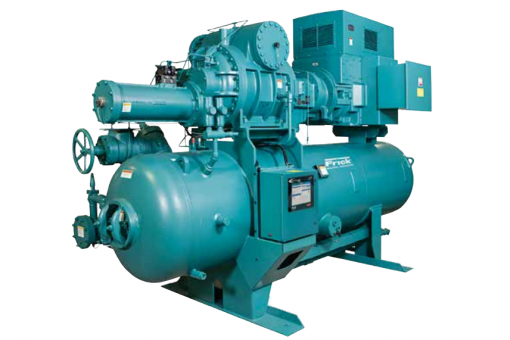 When choosing a vacuum pump, you must take into account several factors. First of all, your choice should be adapted to your intended use, this will allow you to determine the technology, lubrication, chemical resistance, vacuum level and necessary flow rate. The essential factor that should guide your choice of a vacuum pump is the quality and desired vacuum level. There are several types of vacuum: a rough or low vacuum, a high vacuum and an ultrahigh vacuum. The difference between the three lies in the scarcity of the number of molecules obtained, which is measured by the pressure of the residual gases. The weaker the pressure, the more the number of molecules per cm³ is weak. As a result, the vacuum quality is higher. the pump’s flow rate: the flow rate is related to the draining time of the machine. It is therefore necessary to evaluate the capacity of the vacuum pump to produce both the required pumping speed (volume flow rate) and the mass flow rate according to the process requirements. 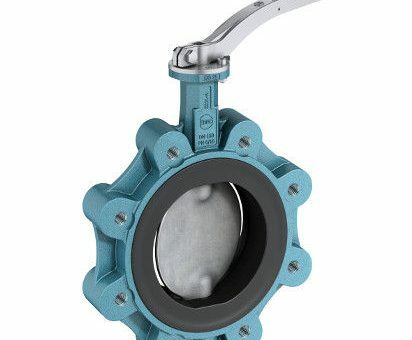 Generally, the higher the flow rate, the shorter the draining time. The table above shows the number of remaining molecules per cm³ depending on the type of vacuum chosen. chemical compatibility:it is necessary to consider the compatibility of the gases used in your application with the chosen vacuum pump by analyzing all possible problems that the device may encounter. lubrication: it is essential to ask yourself whether or not it is necessary to lubricate the vacuum pump. A lubricated vacuum pump has greater efficiency and resistance. It does however require very regular maintenance. 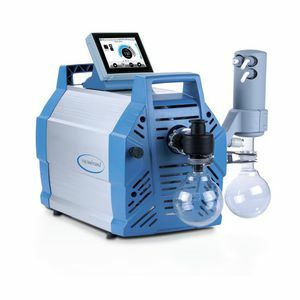 In a laboratory environment, a dry vacuum pump is preferred. 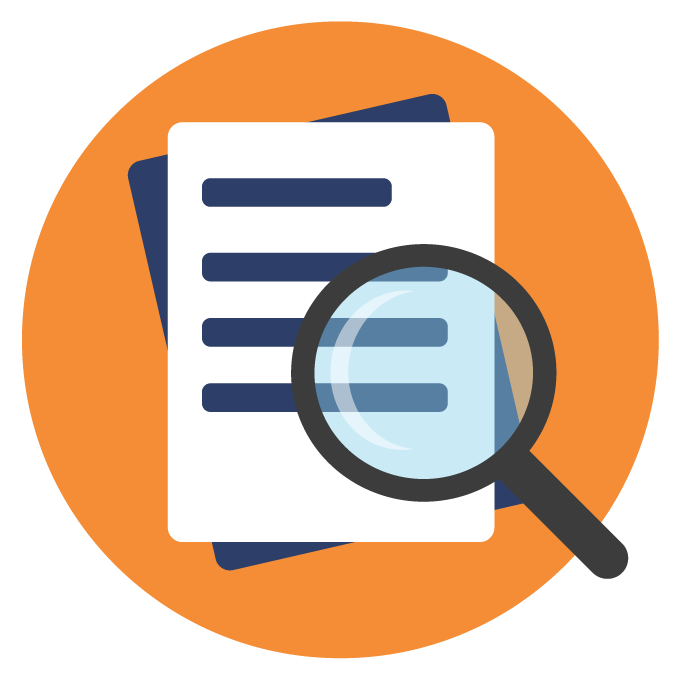 maintenance and cost : based on the criteria listed above, it will then be necessary to analyze the frequency of maintenance cycles. This will determine the overall cost of your installation, which must take into account the purchase price but also the operating and maintenance costs. Your choice of vacuum pump will depend on the type of vacuum required, but also on the price and robustness of the technology required. If you are looking for a high-performance vacuum pump at a low cost, we recommend you consider a rotary vane vacuum pump. 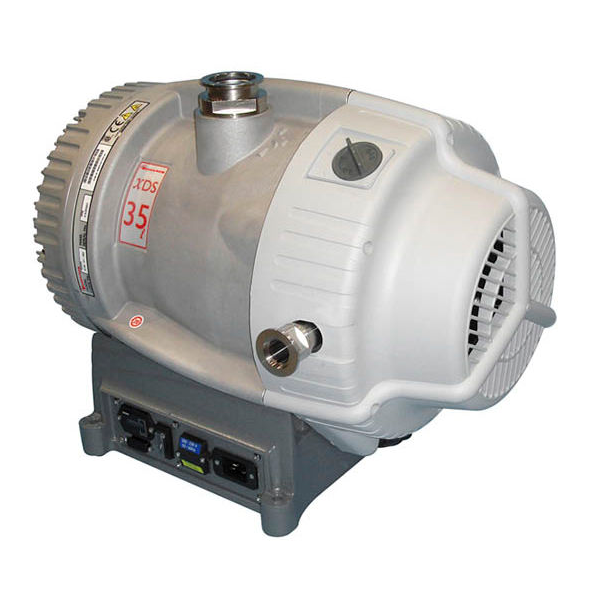 Rotary vane vacuum pumps are small and compact, and can reach a level of rough vacuum. They are particularly effective for aqueous samples and high-boiling solvents. Vapors can be captured before they even come into contact with the pump. Rotary vane vacuum pumps require oil to operate. The presence of oil ensures perfect airtightness, constant and efficient lubrication of the moving parts and excellent heat dissipation for cooling the vacuum pump. However, to ensure efficient operation of the pump, regular maintenance should be organized. One of the disadvantages is the need to regularly change the oil in order to reduce the risk of wear. It is recommended to change it every 3,000 hours of use. Diaphragm vacuum pumps are extremely resistant to corrosion and chemicals. For this reason, they can be used for any type of viscous, acidic and corrosive product. 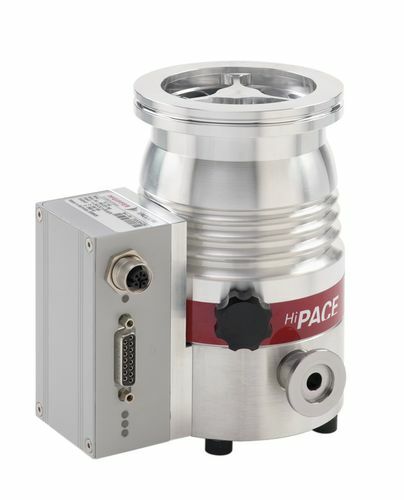 This feature means that diaphragm vacuum pumps are commonly used in fields such as the food industry (for pumping fluids such as water, chocolate and syrups, for example), but also the cosmetics industry (for creams and gels) and the chemical industry. They are also used for rotary evaporation and treatment of volatile compounds. Additionally, they are ideal for continuous operation. Another advantage to diaphragm vacuum pumps is that they are dry pumps. This means they do not have to be lubricated with oil and maintenance costs are much lower than with a rotary vane vacuum pump. These pumps are rather expensive to purchase however. Another important point is that the vacuum level of diaphragm pumps is lower than that of rotary pumps and is therefore not suitable for freeze-drying. Liquid ring vacuum pumps operate by supplying a liquid that is centrifuged on the pump walls. This results in a liquid ring that maintains the pump’s airtightness. Liquid ring vacuum pumps have many advantages that may be useful if you work in industries such as distilleries, petroleum refineries, power plants, mines, sugar factories, etc. These vacuum pumps are not very sensitive to the passage of liquids, small solid particles or vapors. Additionally, their isothermal compression is ideal for explosive and heat-sensitive products, which ensures a high level of safety. Liquid ring vacuum pumps can also be used for vacuum filtration, moisture extraction, removal of water from pulp during paper processing, mineral recovery and ash handling. With a maximum flow rate of 30,000 m³/h, these powerful pumps allow you to decrease and increase pressure. Nevertheless, we advise you to pay attention to the saturated vapor pressure of the liquid ring. The minimum pressure of the vacuum pump must not be lower than the saturation pressure of the liquid ring, otherwise the liquid ring may vaporize. This will compromise your vacuum pump’s airtightness. 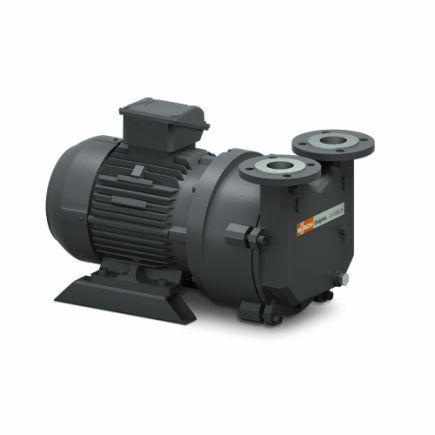 Scroll vacuum pumps are used for clean and dry vacuum pumping. They are therefore used widely in the research field and in laboratories. Scroll vacuum pumps use two spiral-shaped scrolls to pump and compress liquid or gaseous media. One of the spirals is fixed and the other orbits around it eccentrically. It is this eccentric movement that allows the gas to be compressed. Scroll vacuum pumps are quiet, compact and don’t require oil. The vacuum pump’s airtightness is created by the joint spiral. Regular maintenance is necessary, as the seal must be replaced often to ensure optimal airtightness. The main disadvantage to these pumps is their vulnerability to debris and introduced particles that tend to erode the spiral seal. Turbomolecular vacuum pumps can attain pressure levels from 10-12 mbar. The flow rates vary from 50 l to 5,000 l/s. 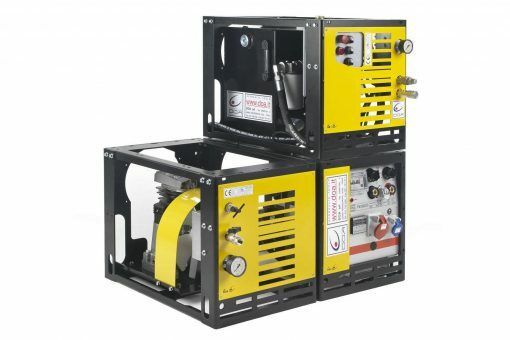 They operate on the same principle as compressors. The blades of the different levels of the pump are rotated by an electric motor rotating at a high speed which removes the air from the volume to be emptied. 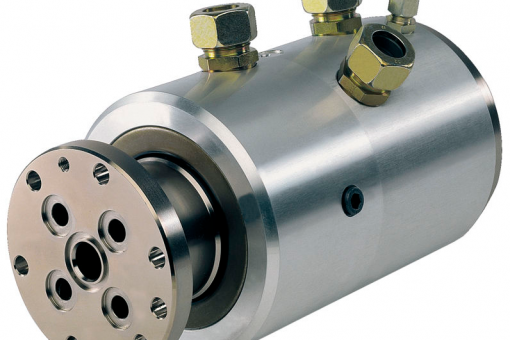 These pumps are often mounted on magnetic bearings to support high rotational speeds. They necessarily require a primary pump with a vacuum limit of 10-2 mbar. Turbomolecular vacuum pumps have the advantage of not using oil. As such they are clean pumps. These pumps are particularly well suited for ultrahigh vacuum applications such as analytical instrumentation or laboratory analysis. Due to their complex technology, these pumps are expensive to purchase and may require more maintenance than traditional vacuum pumps. The pumping speed is also very dependent on the type of gas being pumped. The speed drops sharply for lighter gases. 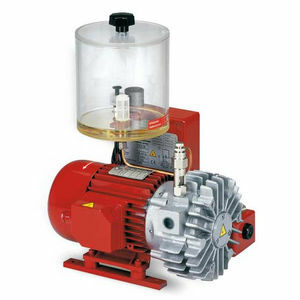 The lubrication of the vacuum pump is another aspect that will influence your choice. Whether you need to lubricate a vacuum pump or not plays a role in the maintenance level of the machine. Lubricated vacuum pumps are more resilient and efficient, however they require regular maintenance, approximately every 12 hours. It is also advisable to use a cold trap, as the oil tends to condense steam and lower the pump’s capacity. This device, installed at the pump inlet, prevents oil vapor from rising above the vacuum. If, however, you do not use a cold trap, we recommend that you regularly inspect the color of the oil used to lubricate the vacuum pump. Another disadvantage of lubricated vacuum pumps is that they cannot be used in certain industrial sectors such as the food industry because the oil can contaminate the food. Dry vacuum pumps are vacuum pumps without oil. As such, there is no risk of product contamination by the lubricating media. Dry vacuum pumps are therefore particularly recommended if you work in the agri-food industry. These vacuum pumps are however more sensitive to moisture, and as there is no cooling liquid dry vacuum pumps are more sensitive to high temperatures. Vacuum pumps are used in many different areas. They are mainly found in laboratories, the medical and pharmaceutical industries, filtration and mass spectrometry. Each of these uses requires a particular type of vacuum. For example, mass spectrometry requires pressure between 10-3 and 10-4 mbars. It is not therefore necessary to use technology able to create an ultrahigh vacuum. If your application concerns the agri-food industry, drying, vacuum metallurgy or distillation, then you will need a rough vacuum. If you are involved in vacuum mixing or beam welding, we recommend that you switch to a high vacuum. If, however, you work in surface state physics or particle acceleration, we recommend an ultrahigh vacuum.